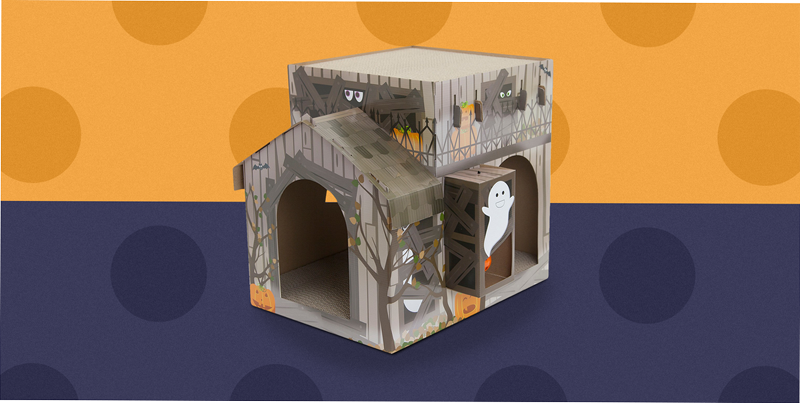 © Emily Suvanvej Give your cats a spooky festive toy this Halloween with this adorable haunted house cat scratcher, available at Target for only $16.99-just be sure you get it before it sells out, because it's already in limited stock. If you're sitting there thinking, "OMG, I need this," don't worry-it's still available in stores and online, so you're covered. Just get it while you still can, before it totally sells out. Head to Target to order online or check if this purrfect (sorry, had to!) Halloween accessory is in stock near you. Your cats are about to live their best, spookiest lives.